I bought this even though I`m a stay at home mom and not a professional nail person, but I love to do my nails and it looked amazing if it did all is said. Well, it did!! I`m amazed! My husband couldn`t believe how beautiful my nails looked. It lasted at least a week before chipping which is amazing with all I need to do with my hands, washing dishes and cleaning, etc. I`ve showed my friends and I`m going to do some manicures for them. I love this polish and love that it looks much more natural than a straight up french manicure, but just as elegant and polished (sorry for the pun!). It has helped with brittleness and peeling too. BUY it! 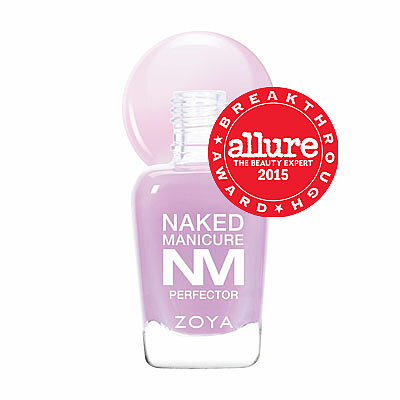 I was curious about the Naked Manicure line and this kit is the perfect way to try it out. 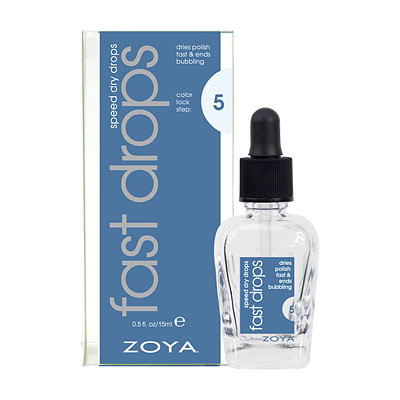 I wouldn`t have guessed that my nails needed a darker base than pink and the kit lets you experiment with all the colors, plus Zoya mini sizes are very generous. The Satin topcoat is genius, I will definitely purchase at full size. The whole process takes about ten minutes and dries very fast, gives a true "my nails but better" look. This is really great set. I`m someone who likes to always have their nails painted, but has damaged nails. This is great for when they are shorter than usual and I don`t want to paint them a color but also don`t want to go bare. The insert included tells you what hues of Perfector to mix to get your perfect shade, I really appreciated that. LOVE the Satin Seal topcoat, truly does look like a natural-nail finish. 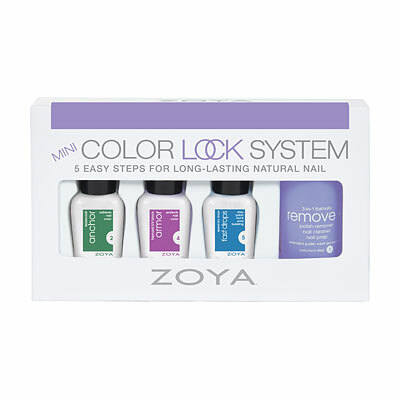 The formulas are nice, which isn`t surprising (Zoya rocks!) but the white tip perfector I had a little difficulty with. It`s sheer, thin and seems to dry a little too quickly for me, as I was unable to get an "even" look, due to the polish semi-drying before I even had time to finish. I did, however, use the system without that white tip perfector as well, and I still really love the results. If you`re on the fence, buy it. Especially this mini kit, which is a great way to try it out! Wow! Fabulous! I ordered the Mini Pro Kit so I could sample all the colors in the Naked Manicure line to see what worked best for me. My first manicure was with the lavender color, and it was nice but a bit too bluish by itself. For the next manicure I used the lavender and the pink together and it was perfection. But the BEST part about this set is the tip perfecter. Whoever formulated this color did such an amazing job. As a long-time French manicure lover, this color is so perfect you don`t need to put a coat of color over it to tone it down like you do with the traditional white of a French manicure. My nails look really natural but so much better than my natural nails! I will be buying my favorites in full sizes when these minis are used up. I cannot say enough great things about the Naked Manicure line. Also, it stays on about 6 days without chipping, which for me, is much better than my usual manicures with polishes from other companies. I work in a school with small kids and wash my hands multiple times per day. Get this set and try it out for yourself! !